Nowadays, tablecloths are not a necessity to cover the living room coffee table or dining room table, because the table design today, generally has a modern style so it does not need a cover anymore. Therefore, the tablecloth that initially functions as a table cover, now you can make it for other creations stuff. 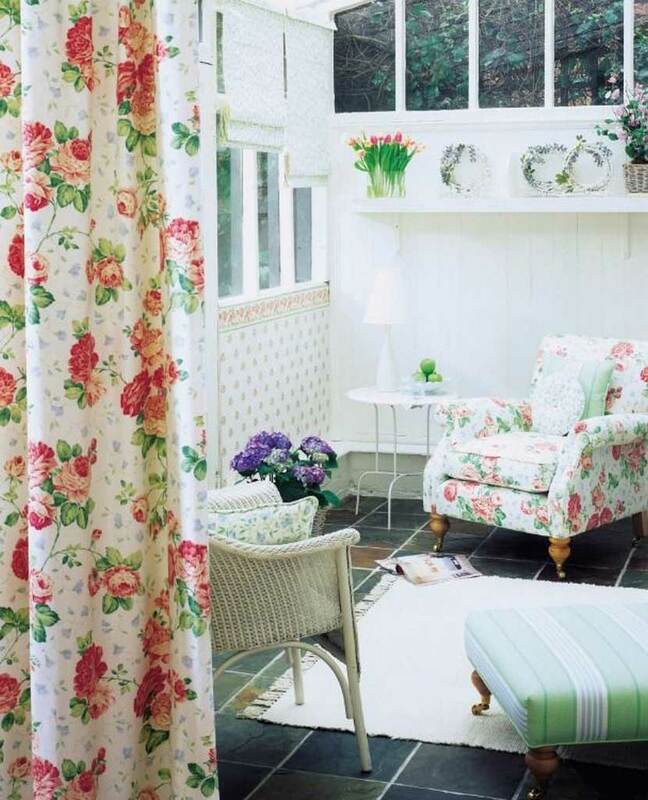 Not only curtains, but you can also use tablecloths as room dividers. It doesn’t have to be the same motive, you can even freely create various motives. Hang a rectangular tablecloth on the ceiling, and your room will get more beautiful. 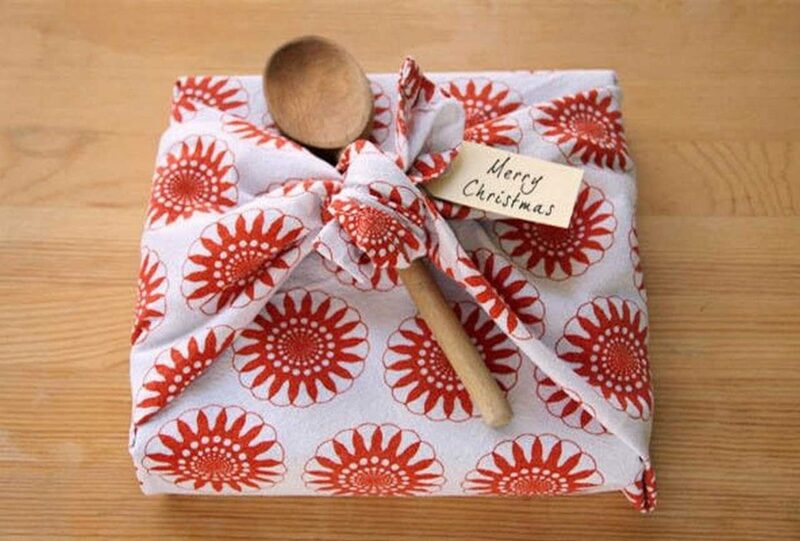 Not only wrapping paper, but small size tablecloths with interesting motifs can also be used as gift wrap. Thus, you can give two gifts at once, first is the contents of the gift itself, and the second is the funny tablecloth that you made as the gift wrapper. Definitely, you can reduce waste. 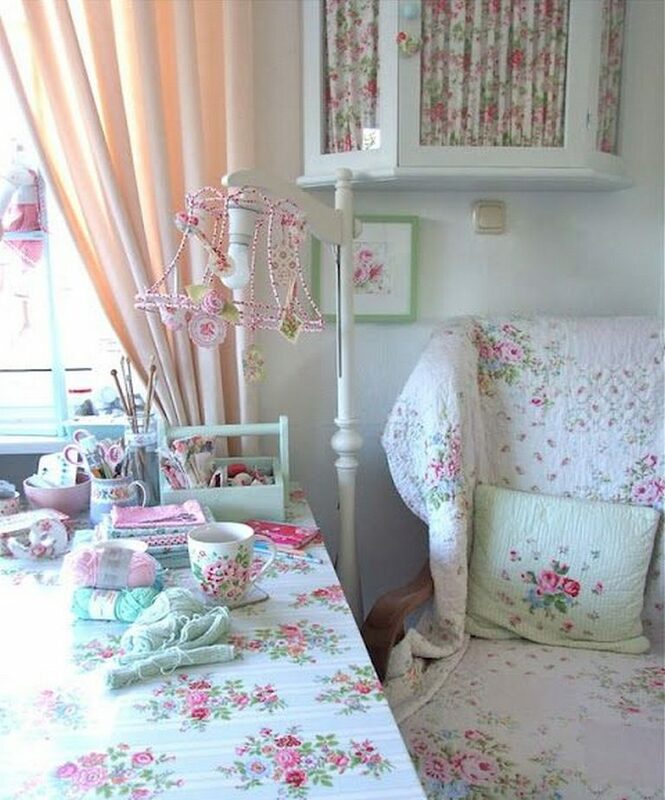 You can create a tablecloth creation into a new ceiling decoration for your room. For example, choose a tablecloth motif that matches the room theme, then hang a rectangular tablecloth on the ceiling of the room to make it look attractive. Carpet is one of the household utensils that can beautify the interior of your home. Carpet raw materials also vary. In fact, the material from the tablecloth can also be turned into a beautiful and comfortable carpet for your interior. Use a large tablecloth, then make a unique shape like a circle. This will make the foyer or family room more attractive. 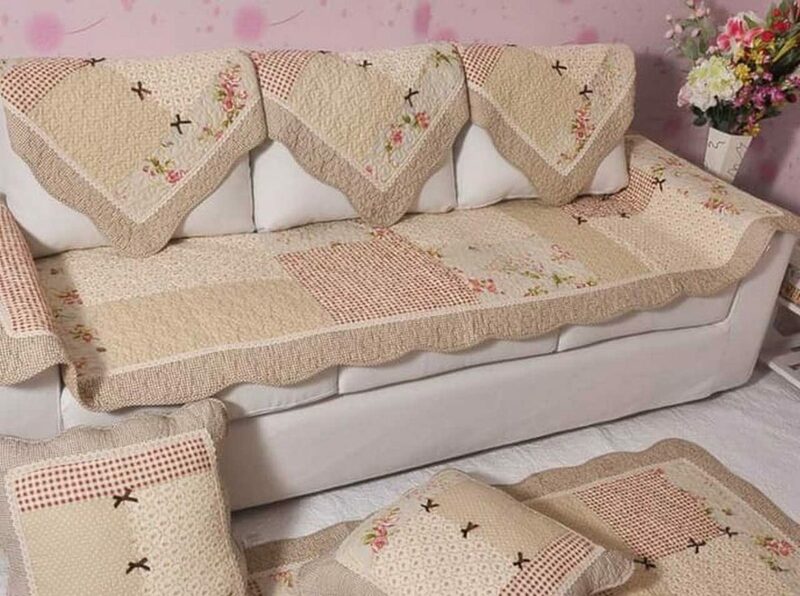 You can also create a tablecloth into a seat cushion upholstery in your home. If you feel bored with your current chair covers, you can choose a tablecloth with motifs that you like and make it as a seat cushion. Of course, your chair will be an exclusive item in your room. 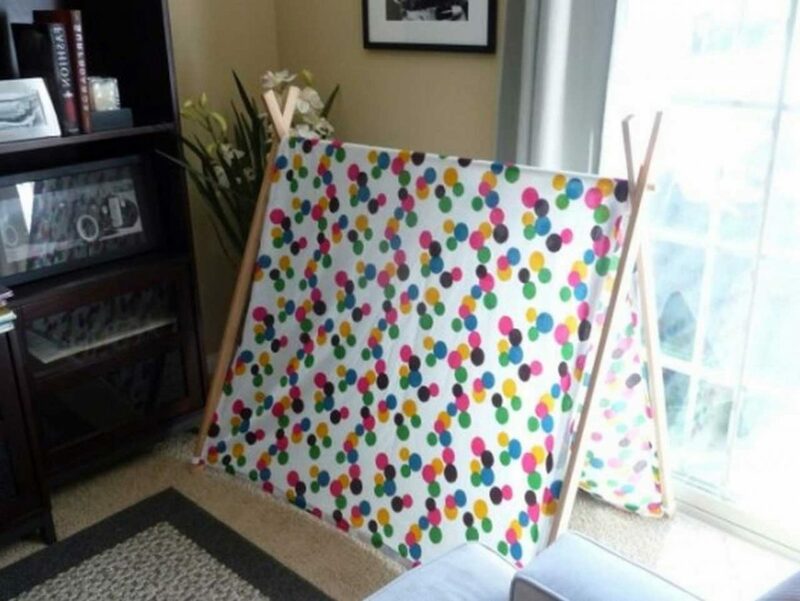 Tablecloths can be an alternative playing tool for children at home. It’s easy to make it too. Expand the rectangular tablecloth, and hook each end of the corner with wooden slats. Now the shape of the tablecloth is more diverse. The arrangement is no longer straight. One that is quite popular today is long tablecloths (sometimes the ends are dangling on both sides of the table), while the width is narrow. Tablecloth like this called a runner or table runner. Table runners can be an alternative substitute for tablecloths. That way, the beauty of table texture and decoration objects on the table can still stand out. Table runners can also be applied to various types of tables. Starting from the dining table, end table, to the coffee table. It’s just that, the owner must pay attention to some important things about choosing and using a table runner. Before choosing a table runner, it is very important to know the size of the table. Because this will be related to the size of the table runner that will be used. The size of the table runner will be easily determined if you know the size of the table. Generally, for a standard size, the width of the table runner ranges from 10-15 inches. While the length of table runner ranges from 48-108 inches. There are at least 6-inch fabrics that hang on both sides of the table. However, there is actually no standard rule for using a table runner. So, even though the tablecloth is longer or smaller, as long as you like it and the appearance of the table still looks beautiful, then the table runner can be used. Table runners are usually placed in the center of the table, and adjusted to the length of the table. However, the actual placement of the table runner does not have to be that way. Table runners can also be created with different placement techniques. You don’t have to pick one, whether you have to use a table runner or tablecloth. Because both table runners and tablecloths can be used together. 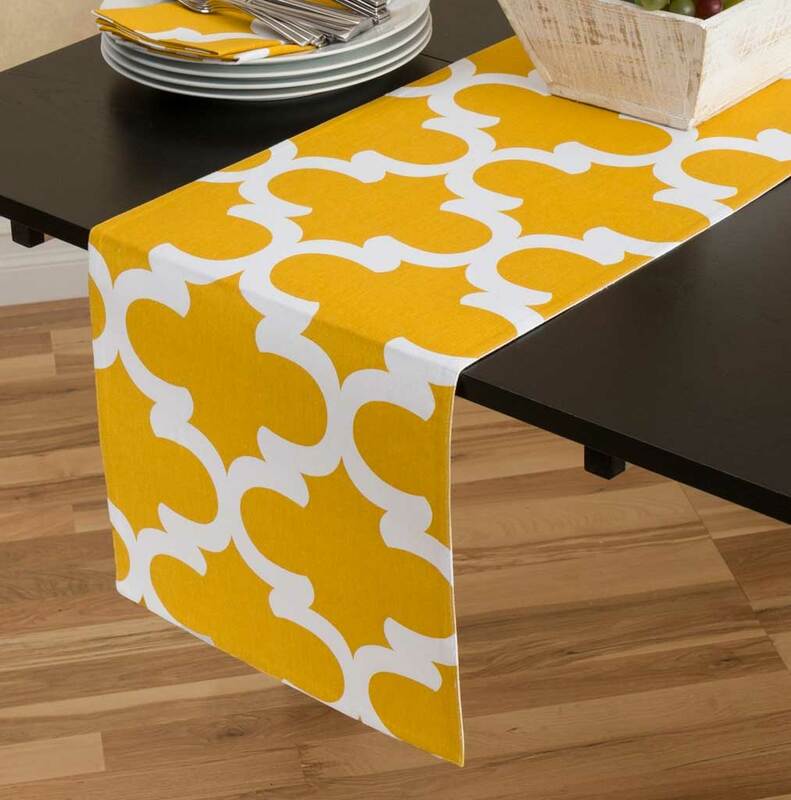 Table runners can be placed on the tablecloth because table runner has a smaller size. To make the combination look more attractive, try matching the colors of the table runner and tablecloth. This arrangement can be applied if indeed the table structure is less attractive. 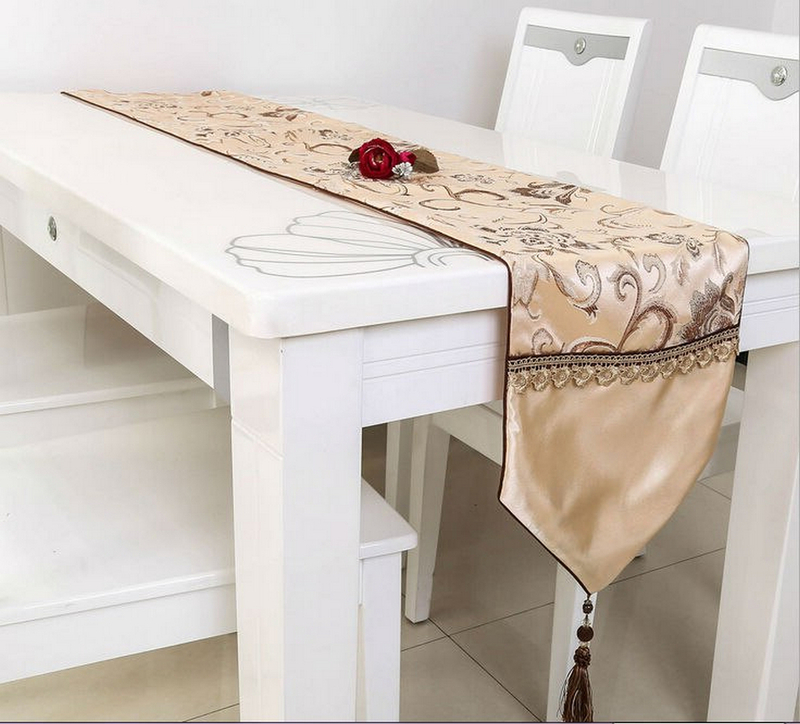 However, if the table looks beautiful, just add the table runner as a decoration. Runners can be placed on the guest table, dining table or console table. Generally, the shape of a table that is suitable for a table runner is a rectangular table. However, there is nothing wrong if the square table also gets this beauty. Usually, natural style wooden tables are suitable for this decoration. If the table runner is usually set horizontally, you can set it vertically. When the table runner is set vertically, you can use more than one table runner with a smaller size, so that it doesn’t dangle too long. So, if you want to have the incredible pictures about Tablecloth Ideas That You Should Try at Home, simply click save icon to save the shots for your personal computer. They’re ready for down load, if you’d rather and wish to obtain it, simply click save symbol in the web page, and it will be instantly saved to your laptop computer. Here you are at Tablecoversdepot.com, content above Tablecloth Ideas That You Should Try at Home published. Some people searching for info about Tablecloth Ideas and definitely one of these is you, is not it?